President Donald Trump fumbled the name of Apple’s Tim Cook during a meeting at the White House, calling him “Tim Apple”. The Lord Provost of Aberdeen is to seek the presidency of a major energy partnership. Police based 400 miles away have been drafted into Aberdeen as part of Donald Trump’s visit to Scotland. 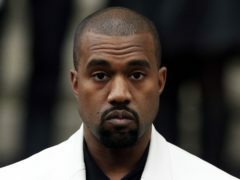 Kanye West has said US President Donald Trump is his “brother” and that the “mob” cannot make him “not love him”. 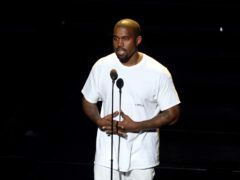 Donald Trump has thanked Kanye West for his support after the rapper declared his “love” for the US president and donned a signed “Make America Great Again” hat. Hollywood star Dwayne Johnson, aka The Rock, has said it is a “real possibility” that he could run for president. Arnold Schwarzenegger has urged Donald Trump to go back to reality TV so “people can finally sleep comfortably again”. What actually happens on Inauguration Day? It’s the final countdown to Donald Trump’s inauguration where he will officially become the 45th President of the United States. Madame Tussauds is preparing a wax figure of Donald Trump following his election as 45th president of the United States. Thousands of protesters flooded city streets across America to condemn Donald Trump’s election in demonstrations that showed the raw divisions exposed by the presidential race. Donald Trump has been elected America’s 45th president in a remarkable victory for the celebrity businessman and political novice who capitalised on voters’ economic anxieties to win the race for the White House. We all know what it’s like when we’re presented with the most simple of tasks but for some unknown reason we’re incapable of not screwing it up. Today Americans are choosing between the Republican candidate, Aberdeenshire golf course owner and billionaire tycoon Donald Trump and the Democrat choice, former US Secretary of State and First Lady Hillary Clinton. Through years of experience I’ve found, generally speaking, people dislike politicians assuming things and speaking on their behalf, particularly when they’ve got it wrong. US real estate mogul and reality television star Donald Trump has announced he will seek the Republican nomination for president.